I hadn’t been to City Voices in a while. It’s a bit of a trek for me, travelling from south Birmingham to Wolverhampton, but I’m glad I braved public transport and read there last night – I even sold a few books! If you’ve never been, it’s based in the Lighthouse which is a three-minute walk from the train station and housed inside the industrious Chubb building. As ever, Simon Fletcher, no relation, is the convivial host who sets the scene and puts everyone at ease. I’m not sure how long Simon has been running City Voices, but whenever I’ve been there the quality of the readings is always of a high standard and last night was no exception. Sadly, my memory is bloody awful, and I can’t remember the names of those who read last night. The only names on the listing are mine and Fergus McGonigal’s – Fergus had to cancel, and Simon stepped in – but the quality of the writing and the reading from the three poets were very high. If anyone reading this can tell me the names of the poets leave me a comment below, and I’ll amend this accordingly. Who put Bella in the Wych Elm? is a graffito that originated in 1944 after a woman’s corpse was discovered by several children inside a wych elm in Hagley Wood (located in the estate of Hagley Hall, Worcestershire, England). Among other places the graffiti has appeared on the Hagley Obelisk near to where woman’s body was discovered. The victim, whose murder was estimated to have occurred in 1941, remains unidentified. The next City Voices is in February and will be love themed, with guests including Kuli Kohli, Yvette Layne and Bert Flitcroft. (Pancakes will be on sale in Lock Works for Shrove Tuesday). City Voices info can be found here. You probably already know this, but I only just found out and it looks rather wonderful. So, for those of you who don’t know, who are Arvon? Avon are all things writing. They have a number of writer’s retreats across the UK and run a range of courses for poetry, scriptwriters, novelists, non-fiction writers and so on. I’ve not yet been lucky enough to go on one of their courses, but I know people that have and they can’t speak highly enough about them. The courses are pricey (there are bursaries available,) but the wealth of talent on offer and the venues warrant it. The Tumbler feed looks really interesting – it’s where I grabbed the Ray Bradbury quote from and the gif above – and is full of little sound bite advice regarding writing. Don’t just take my word for it, pop over and have a look for yourself by clicking here. Hi, only a week to go now before the Lost Districts competition launches. You’ll remember from my earlier post that Lost Districts is all about celebrating the work of writer and poet, Joel Lane, who is sadly no longer with us. So, if you know a photographer, or visual artist, who’s based, or has work based in the West Midlands, UK, get them to check out the Lost Districts page, they could win £100 and have their work splashed across the web! Lost Districts: Text and Image. 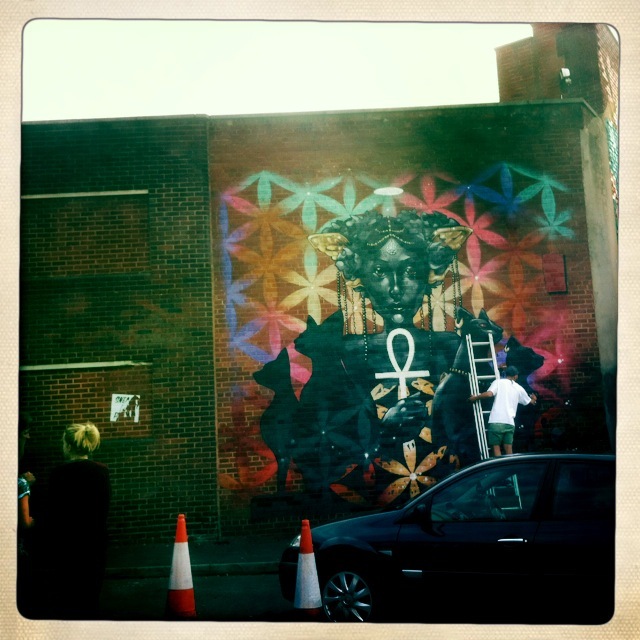 Hey, there’s a mighty cool project kicking off in Birmingham City called Lost Districts. Lost Districts are looking to link the dark, moving, writing of the sadly departed Joel Lane with stunning images from photographers and artists. At the moment they’re gathering extracts of text from Joel’s work, which was predominately set in the West Midlands, getting ready to draw up a list of ten sites that they want images for. 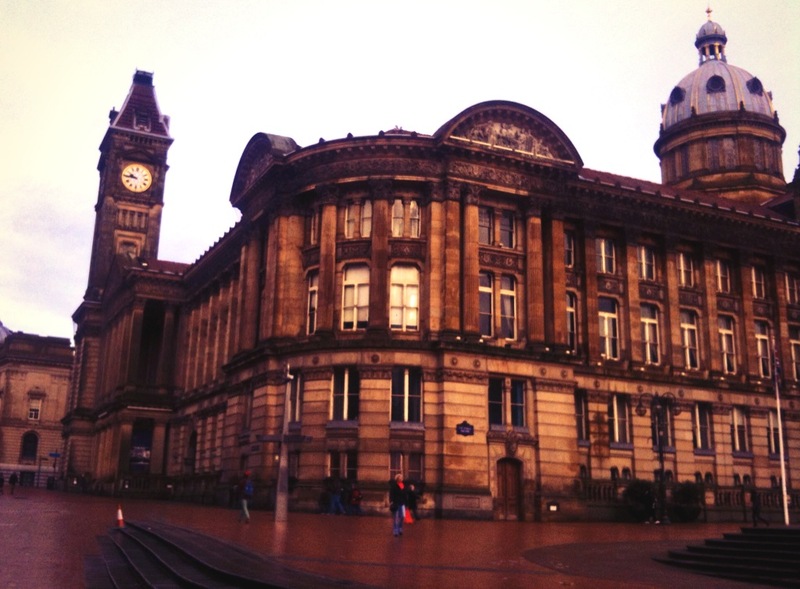 The project will take place over the ten days of the Birmingham Literature Festival. Each day a winning image will be chosen and from those ten images an overall winner will receive £100. So if you’re a budding artist, or a demon with a lens, get over to their site and read on for more details here.